CND Shellac Olympic inspired designs. During the games CND Shellac manicures and pedicures will be offered in the Olympic and Paralympic Villages. The brand will be set up and offering services to the athletes during the span of the games. CND Shellac has two Olympic themed designs. Olympic Gold, which is glittery and red with Olympic rings and Olympic Spirit which has the rings in the signature colors. 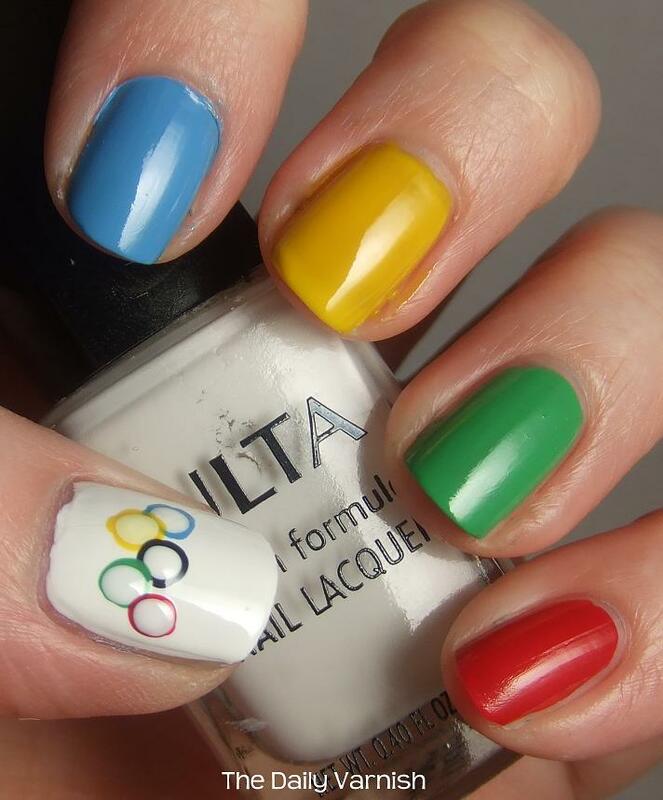 Just take a moment to 'Google' Olympic Nail art and you'll find plenty of designs people are creating with polish. You find flags and colors honoring the countries participating in the games. People are creating some very interesting designs that are sure to be conversation pieces during these games. Will you be getting in the spirit with your won nail designs? You can even try it yourself at home. Check out the video below to do it yourself.